I got to experience the Chevron Houston Marathon & Aramco Half Marathon in a new way on Sunday - as a spectator! 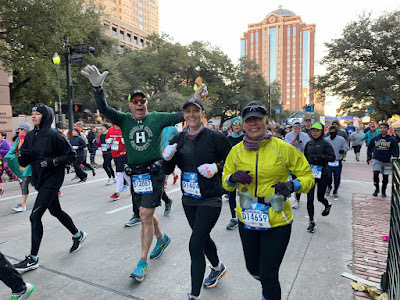 Taking this year off from running the half marathon was a good thing for me. At no time during our weekend in Houston did I regret making that decision, and when I was standing along the fence just beyond the start line of the race, I realized that I was in the very spot (of many) along the race route where I would have my first feeling of ugh, I do not want to be doing this. It was a much better feeling to be on the other side of the fence, which means that this recap is coming from a happy spectator's point of view. 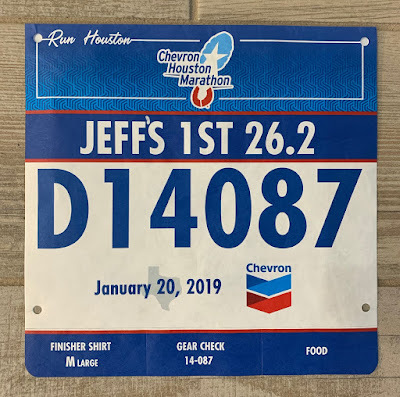 I registered him for the race and chose what to put on his bib, figuring that any extra encouragement from spectators along the way would be helpful. Fun fact: I used up all the allotted space without being able to fit in the apostrophe so I had a pen ready to correct it, as that would have bugged me to no end, knowing he was running with a grammatical error. Nervous smile right there. But he was ready! 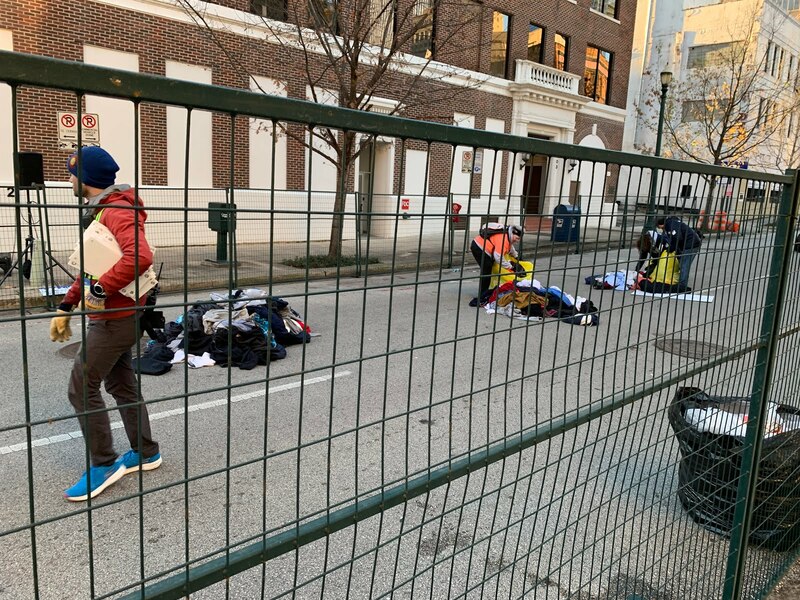 Carrying his throwaway shirt, blanket, Mylar blanket, trash bag...the feels like temperature was 26 degrees so he was prepared to layer up while waiting. 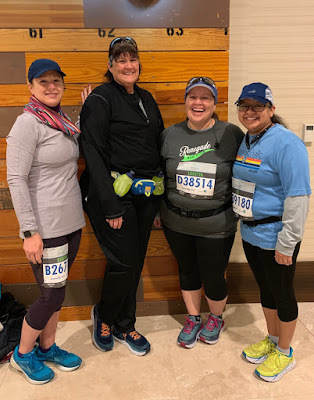 Karen, Diane, Loretta, who was finally getting to run her first Houston half marathon after a lot of injuries, and CC. Brian, Cary, Julia, and Jeff. I took some of Diane's outer layers that she was ready to shed (but they weren't throwaway, so I tied everything over my jacket), gave her a hug because she was nervous about running this race without me, and left the corral to make my way over to the start line, which wasn't easy as I had to walk down several blocks to get around the A/B corrals and get back to the start line. I ended up following a couple who seemed to be walking with confidence toward that general direction, and they got me there - downtown Houston is a little scary when it's still dark and you're alone, so even though they didn't know they were with me, they were. 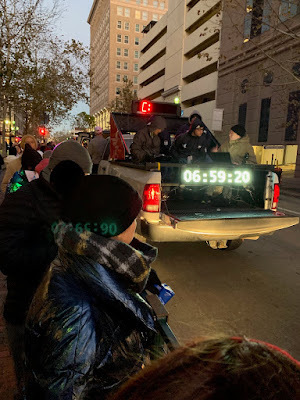 The race started at 7:01 am, so I got there just in time. 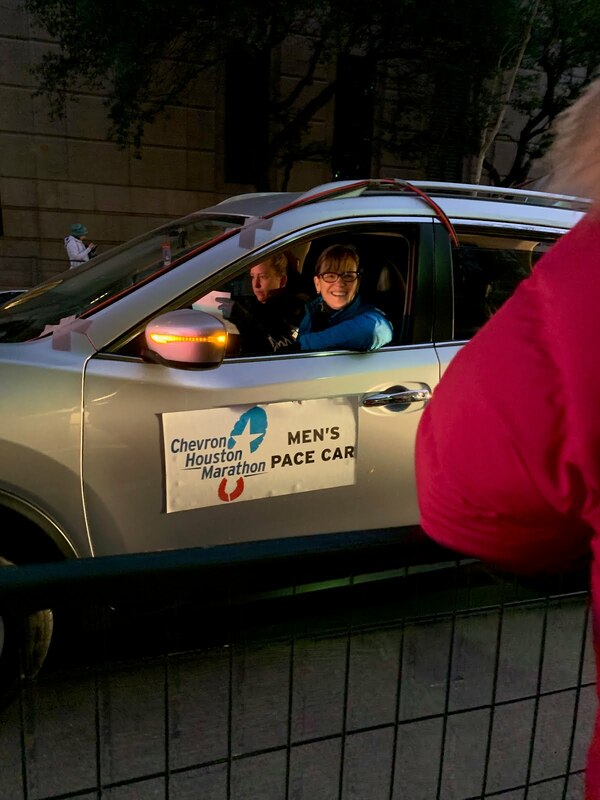 The driver looks happy to be driving 26.2 miles instead of running 26.2 miles. Can you see the blur? It wasn't much clearer in person! 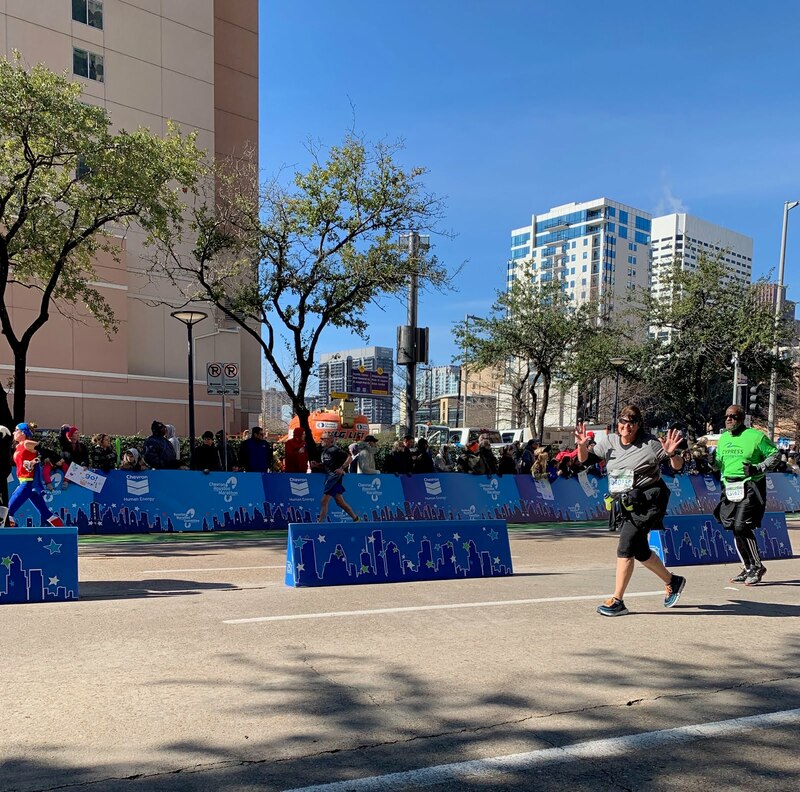 They did the starts in waves, with several pauses within each corral. The race staff scurried out between each wave and picked up debris off of the road (dropped blankets mostly) which is something I didn't realize they did, because when the D corral gets going, there is so much stuff dropped that you would never know the road had been cleaned minutes before. Karen went by me so soon after the first corral started that I didn't get a good picture, but I was able to yell her name and she waved, so I knew she heard me. Spectator selfie! 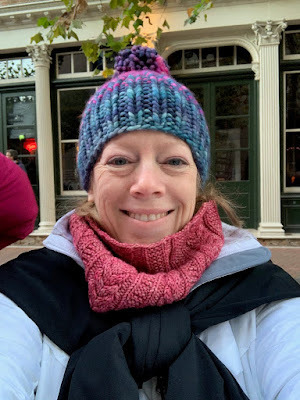 I was wearing two pairs of socks, my running capris under a pair of jeans, two layers under my jacket, gloves, a wool cowl and a wool hat - and I was still cold! 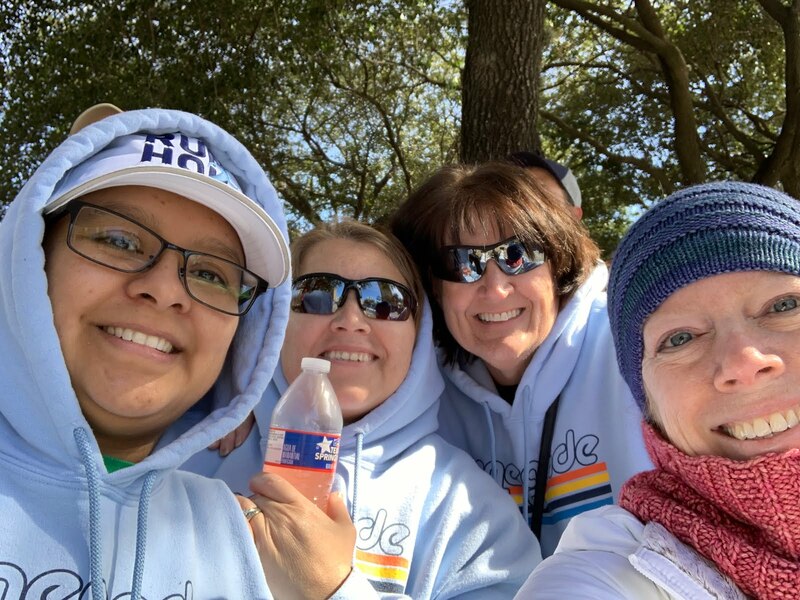 A woman standing next to me lamented that her phone was almost dead and she wouldn't be able to track her husband, so I had her use my portable charger while we waited for everyone to cross the start line. That was a handy purchase - we got her phone to 70% in a very short time. YAY! They looked great! I mean, it was only the beginning, but I loved seeing how upbeat they were. 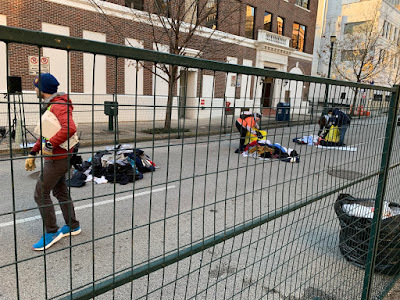 All of the discarded clothing and blankets - this was in corral B - piled up and being collected for the local homeless shelter. I knew this was done at big races, but to see it in person was really cool. 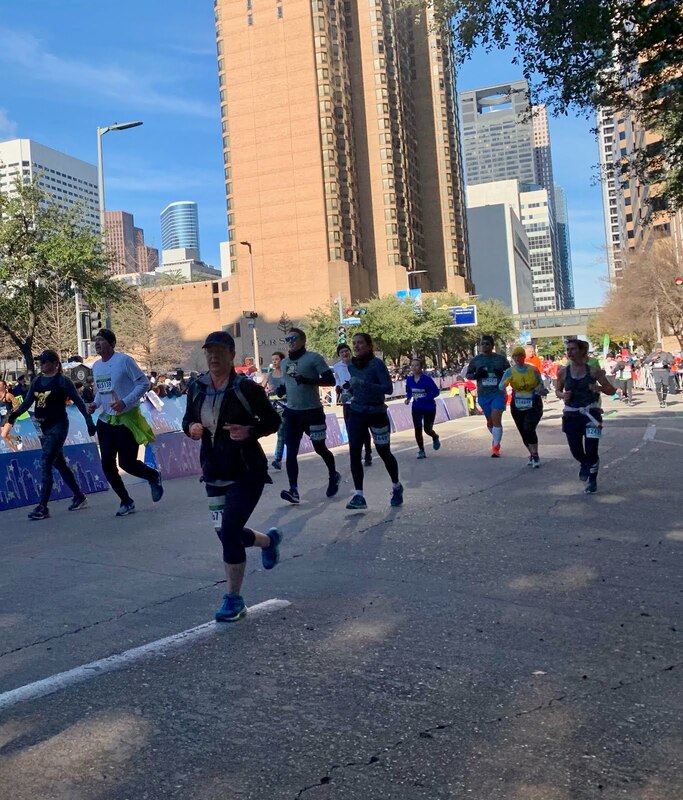 When the weather is like this for the Houston marathon (some years it's warm and there isn't much being discarded), it's a nice benefit for the shelter and its clientele. I lost sight of the tall hotels and stopped to ask a worker who was manning a road closure how to get to the convention center (our hotel was right across from it) but he didn't know, so I kept walking. 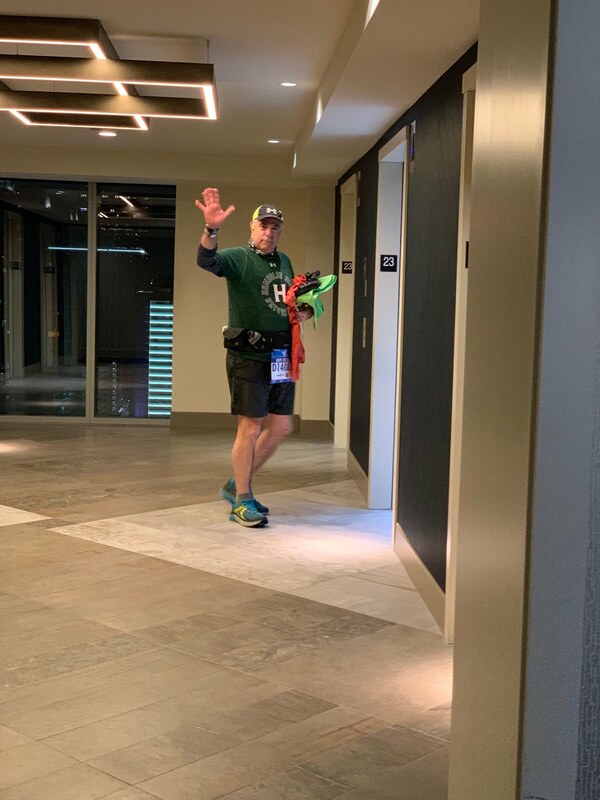 Eventually I found a policeman who sent me off with perfect directions, and I made it to the lobby, where Jimmy had a hot cup of Starbucks coffee waiting for me, ahhh. We sat down for a minute and then checked on the tracking for Karen and dang it, she was already getting close to the finish! She started in the B corral, just five minutes after the elites began, so that's why she was so far along. I zipped up to my room to drop off Diane's clothing, switched out hats, and then Jimmy and I headed over to the finish line. 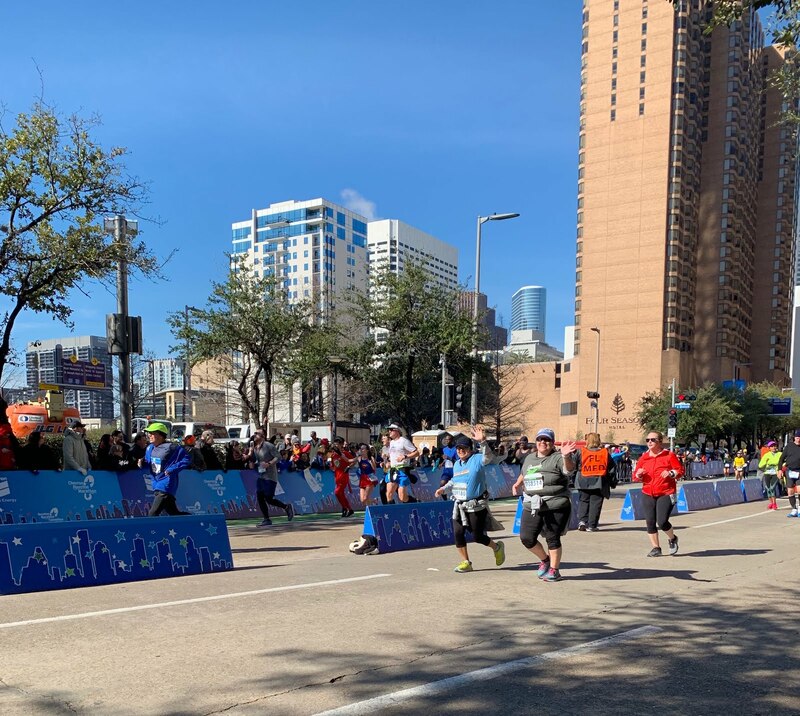 We took a minute to go through a couple of the RunFest booths right behind the finish area, where I picked up a bag of Jimmy John's salt and vinegar chips, which turned out to be my sustenance for the day. Yay Karen! She had a great race! Jimmy brought me another cup of coffee which was wonderful as I couldn't feel my toes anymore. We were in the shade for most of the day and it was still reallllllllly cold, with a light wind on top of temps just barely above freezing. 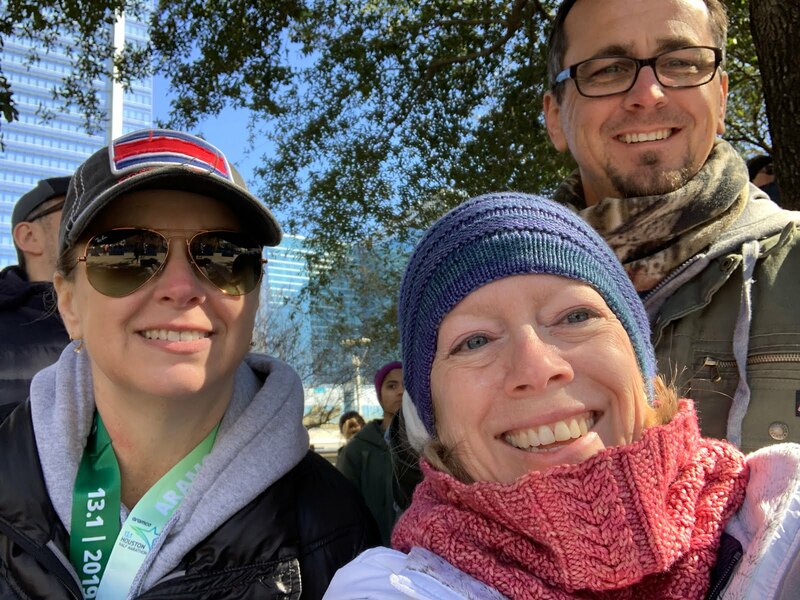 Looking good after 13.1 miles, and as she said afterward, she got to walk past the medical area which was a huge improvement over last year's race. Loretta has missed out on running this race for several years because of various health issues, so it was really wonderful to see her crossing the finish line with a huge smile on her face. 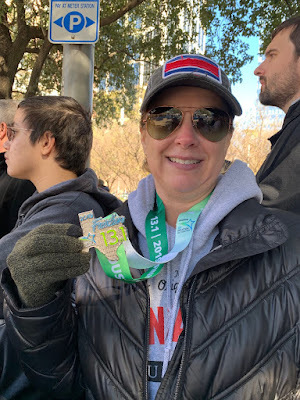 CC showing all the medals - she and Loretta were the only people from our group who also ran the 5K the day before, so they got a medal for that race plus a double medal after they finished the half marathon - as well as the half marathon medal! Gotta love technology - it was very cool to see where they were at any given moment during the race. This was the best I've seen Jeff look at the end of a race in a long time - and this was at the end of a marathon! 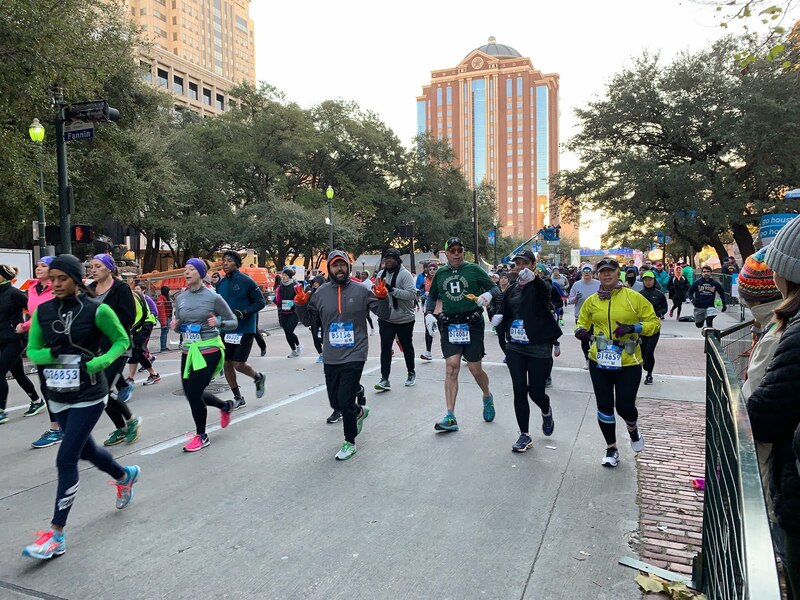 They ended up clocking 26.5 on their Garmins, so they get extra credit for going more than 26.2 miles. Julia came in a few minutes later, looking like it was no big deal, LOL. 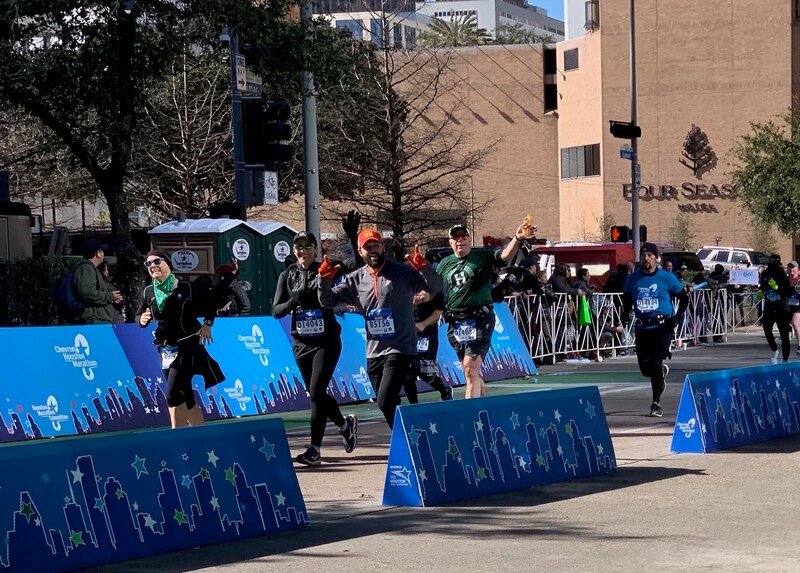 This was her third marathon so she's an old pro at it. 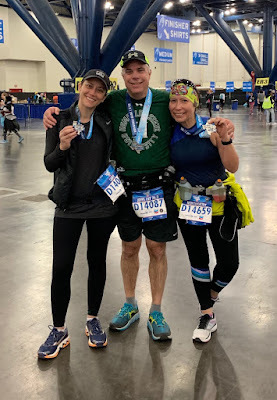 First-time marathoners Cary and Jeff, with seasoned veteran Julia. After the race, we had to hustle back to the hotel so Jeff could shower and we could pack - I thought I'd have time between seeing the race start and getting to the finish line to do that, but I didn't account for the difference between Karen's start and the rest of the group's start, so I didn't get it done. We managed to get everything packed up and were checked out by our 3:00 pm deadline, which was another win - no extra hotel fees this year! We drove home and Jeff spent the rest of Sunday and a good part of Monday sleeping, taking Motrin, and groaning every time he moved. He went to work yesterday and is starting to feel better - when I asked what hurt, he said everything...and I believe him! 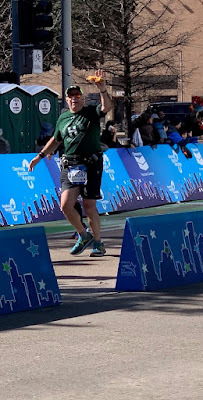 Running a marathon is a huge challenge, but at 61 years old he did it, and I'm very proud of him. Congrats to Jeff for finishing his first marathon! Jeff looked really good in the last pictures all the training really paid off. I loved the pictures of you in all your hand knitted glory! Finally cold enough to use and wear them. 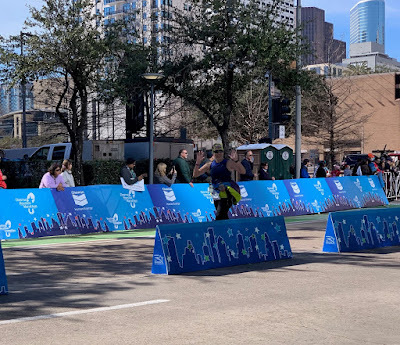 Spectating a marathon looks so much more fun than actually running one. 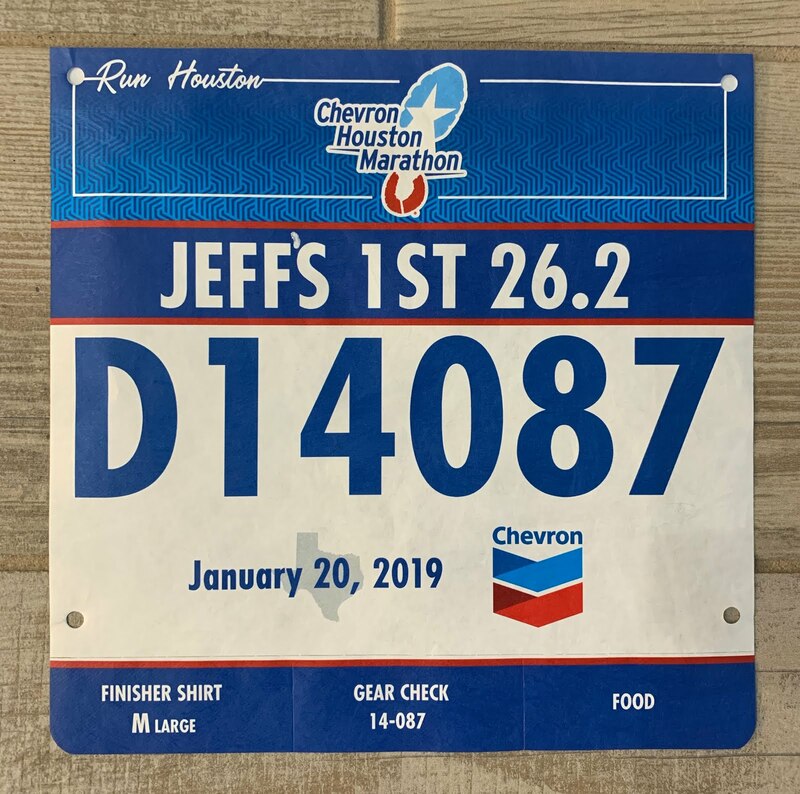 Has Jeff said yet whether he will ever run another marathon? I agree, Jeff really looked good for being at the end of the race. 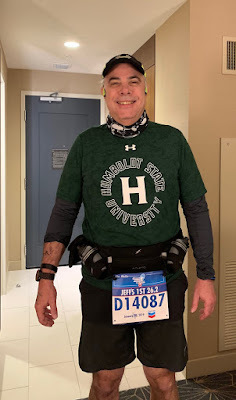 He is pretty sure this is it for him with marathons. I was glad to get to wear my hand-knits and the wool did keep me warm, but there's only so far it can go when you aren't moving around much for hours. Congrats to Jeff and the rest of the renegades that just smashed this race!!!! Jeff and your other marathoners are inspiring, especially since I know you guys are not used to that kind of weather. This makes me want to run just one more... 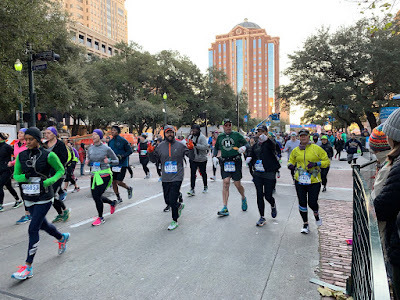 I'm so far behind on marathon level training I'm not even sure I could do it. You are a great spectator - it's hard to stand around, in the cold, for that length of time. And you are a good running friend because you took pictures. WAY TO GO, JEFF!!! And Shelley, the fact that you added the apostrophe with a pen made my day. I would have been bothered by it, too! Congrats to Jeff and to his faithful supporters. It's colder to watch then to run. Kudos to you for being a great runner wife. Thanks - and you are so right, it would have been easier - well, warmer - to run! Congrats to Jeff...and you!!! 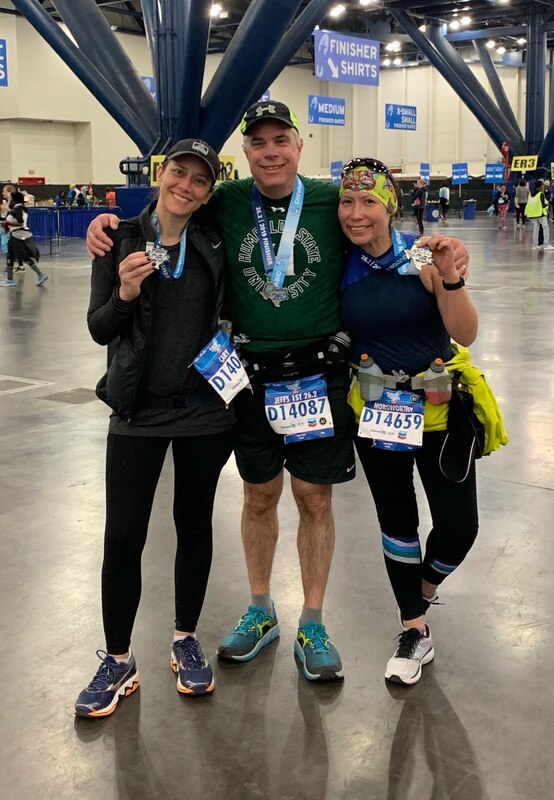 It really takes a village to train for and run a marathon. You guys make a great team! What a great accomplishment! 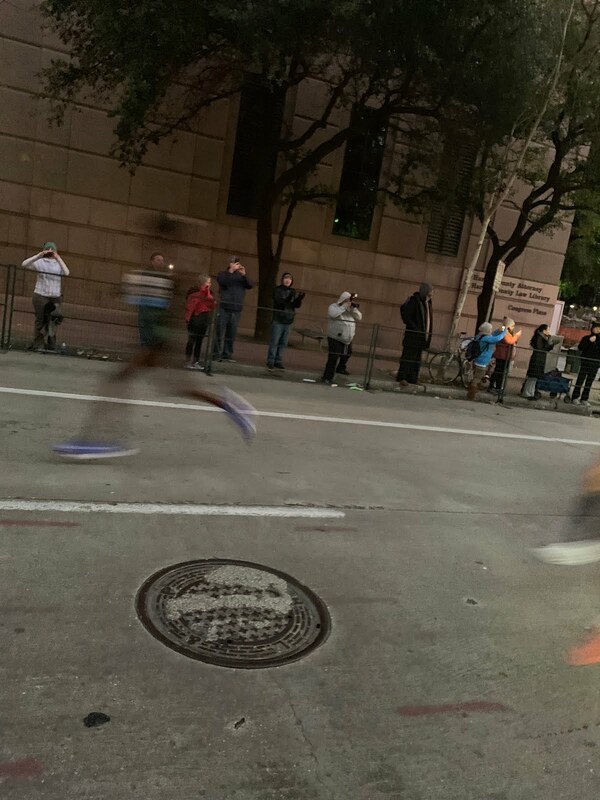 You runners always amaze me. Everyone amazed me on Sunday! CONGRATULATIONS JEFF!!!!! 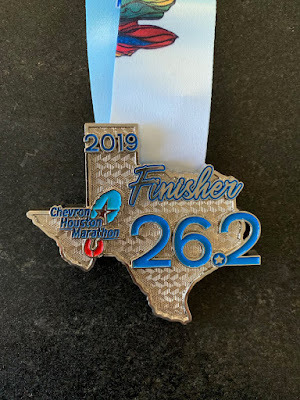 And you, as always, did a great race report. So did you knit that cowl with the cables on it? Very pretty! And what a good sport you were for standing out in the cold all that time to get pictures of Jeff and all your Renegades! Yes I knitted the cowl and it's one of my all-time favorite patterns - the Forest Park Cowl (and it's free) - I was thinking as I was wearing it that I should make another one. 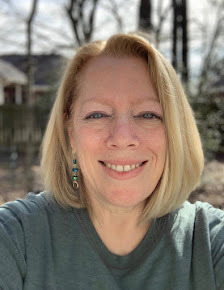 I really enjoyed that anxiety-free day, believe me! I always knew I like you, but when you drew the apostrophe on Jeff's bib...that sealed the deal. You are my people. :) Big congrats to Jeff - that's amazing!! Another apostrophe appreciator - love it! Congrats to the whole crew! 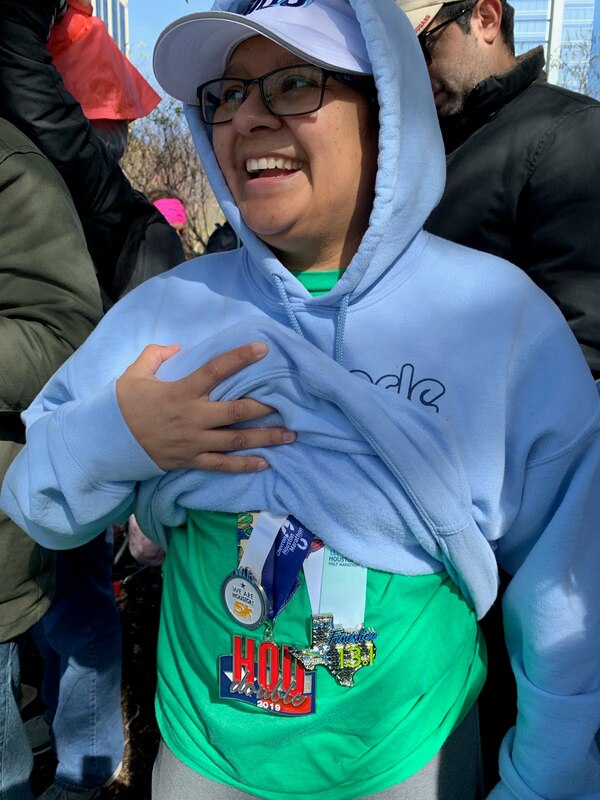 I am glad Diane had a great race since she was nervous about running without you. And that Jeff came in so strong! Yay! I am proud of him! I can't believe the cold temps. What did your crew think of them, after they warmed up? I would prefer them! I have and probably will always continue to think "glad it's not me" whenever I see a marathon finisher, LOL. 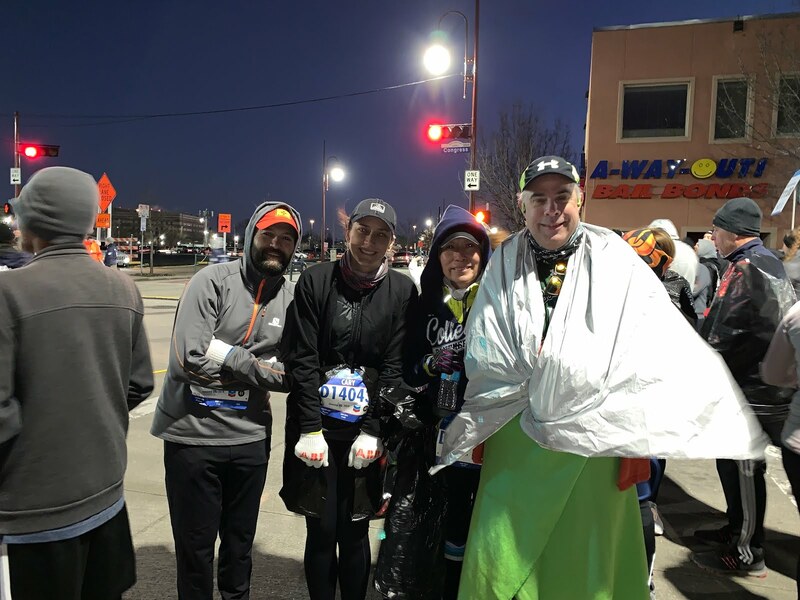 Our runners were happy with the cold temps for running, it was just waiting in the corrals beforehand that was a little hard. My phone charger is a Belkin - I got it at Target and it's a little smaller than my iPhone X. It isn't super heavy like a lot of them (important because I wanted to carry it in my purse) but it charges several phones before needing a recharge.